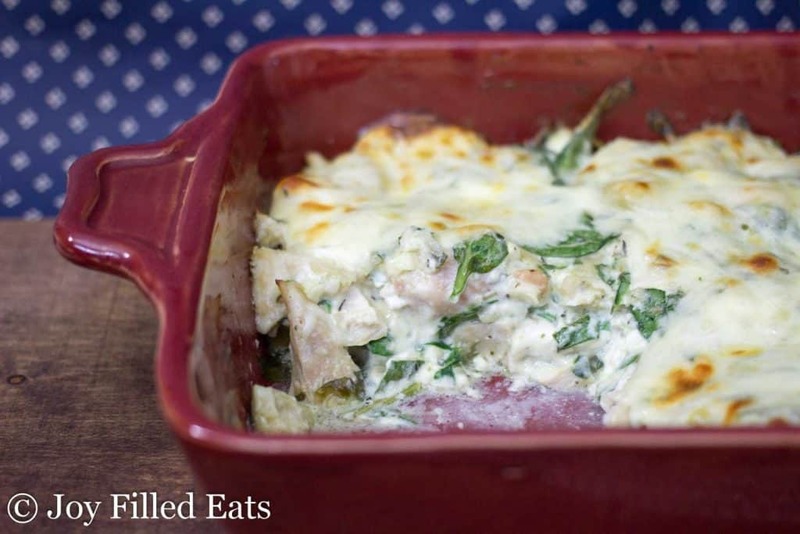 My Spinach & Artichoke Chicken Casserole is an easy make-ahead meal the whole family will like. You can prep it a day or two before and just pop it in the oven for about half an hour before serving. 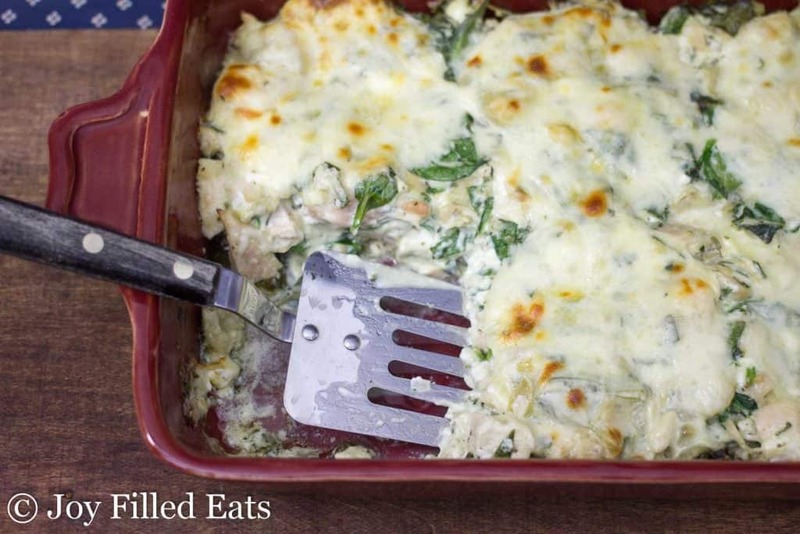 This is basically your favorite spinach and artichoke dip with enough chicken in it that you can call it dinner. 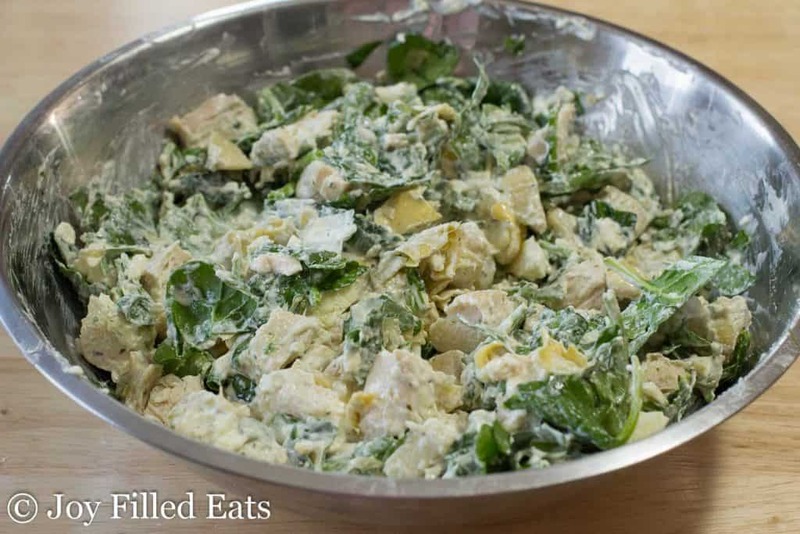 I have two other spinach and artichoke chicken recipes. So I wasn’t sure if I should share this. But my kids prefer this to the other two and if you have precooked chicken already it is the easiest of the three. I also used fresh spinach in this one so I didn’t have to thaw and drain frozen spinach. It worked really well. I was afraid the liquid released from the spinach would add too much liquid to the sauce. But it didn’t. If you tried those let me know your favorite of the three. They are all different enough to hold a special place on my blog and on my dinner menu. I prefer the stuffed chicken breasts for dinner company or home date nights with my hubby. The lazy chicken breasts are the fastest if I’m working with raw chicken. 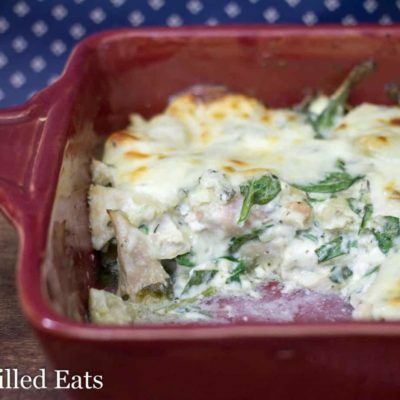 This casserole is the richest and creamiest. It is pure comfort food. If you follow me on instagram you may have seen that I ate leftovers of this for breakfast today. Seriously. It is that good. When I was going through all my breakfast options this was the most appealing. I was just as good, if not better, as leftovers. 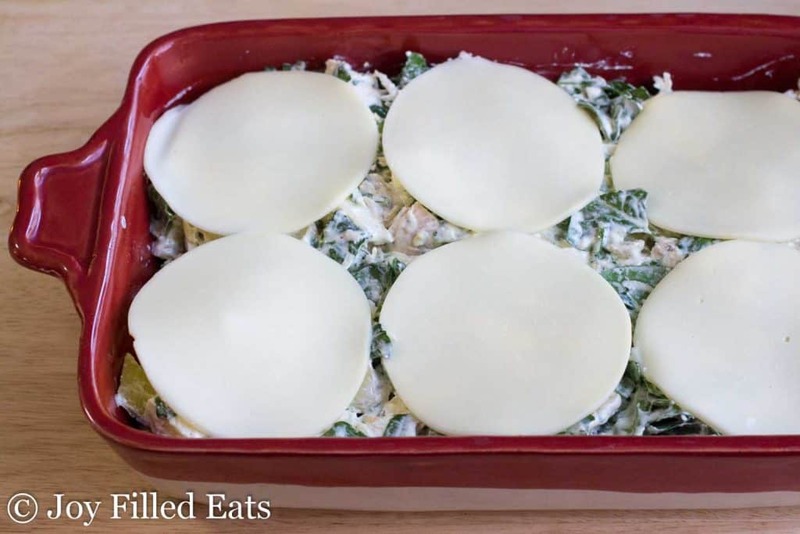 Feel free to top this casserole with any mild cheese. Mozzarella works really well too! 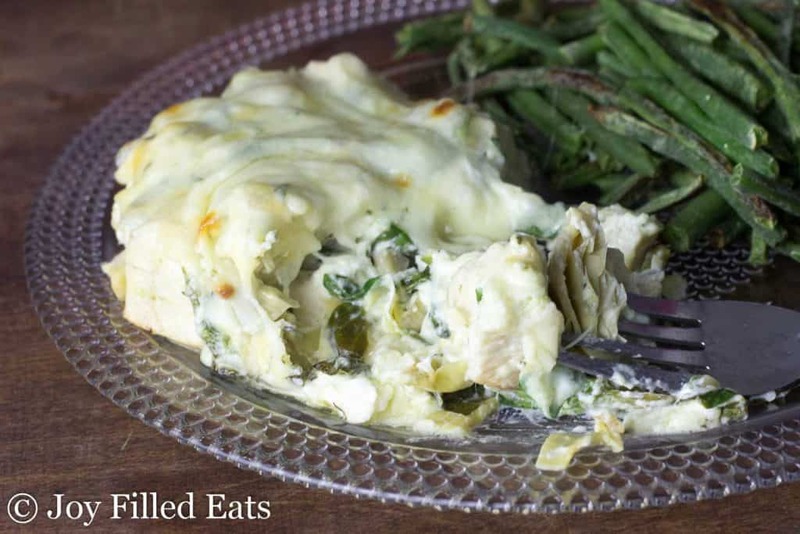 I hope you enjoy this Spinach & Artichoke Chicken Casserole! In a large mixing bowl stir together the cream cheese, sour cream, mayo, and seasonings until smooth. 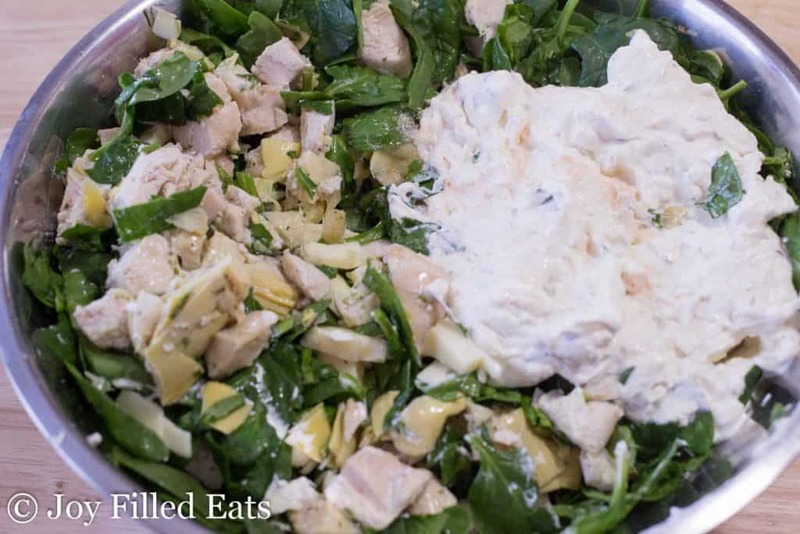 Mix in the chicken, artichokes, and spinach. Cut 4 of the slices of provolone into pieces and stir those in. Spread in the bottom of a large 10 x 13 inch casserole dish. Top with the additional 6 slices of cheese. Bake for 25 - 35 minutes until golden, hot, and bubbly. Serve with green veggies or a salad. Thanks for this amazingly easy and delicious recipe! 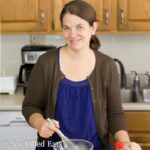 It is our new go-to comfort food, and I love how forgiving it is if you use different quantities. I've started adding sauteed mushrooms for variety. Could I use more sour cream in place of Mayo? Or plain Greek yogurt? Yes. I think sour cream would work better. Or cream cheese. Can you use the kale and spinach mix? could I use frozen spinach instead of fresh? This is on our dinner menu tonight. Thank you for the great recipe. Do you buy your artichokes already in a jar? Or marinate them yourself? I just buy the jarred artichokes when I want them in a marinade. You can also just use the canned variety. What is considered to be a serving size? This was really good.. but more calories than I usually have at dinner. I am a huge fan of spinach artichoke dip. This was a great way to make a meal out of it. Super yum! My husband loved this one! So creamy and cheesy. What about making and then freezing? Would you suggest baking and then reheating? 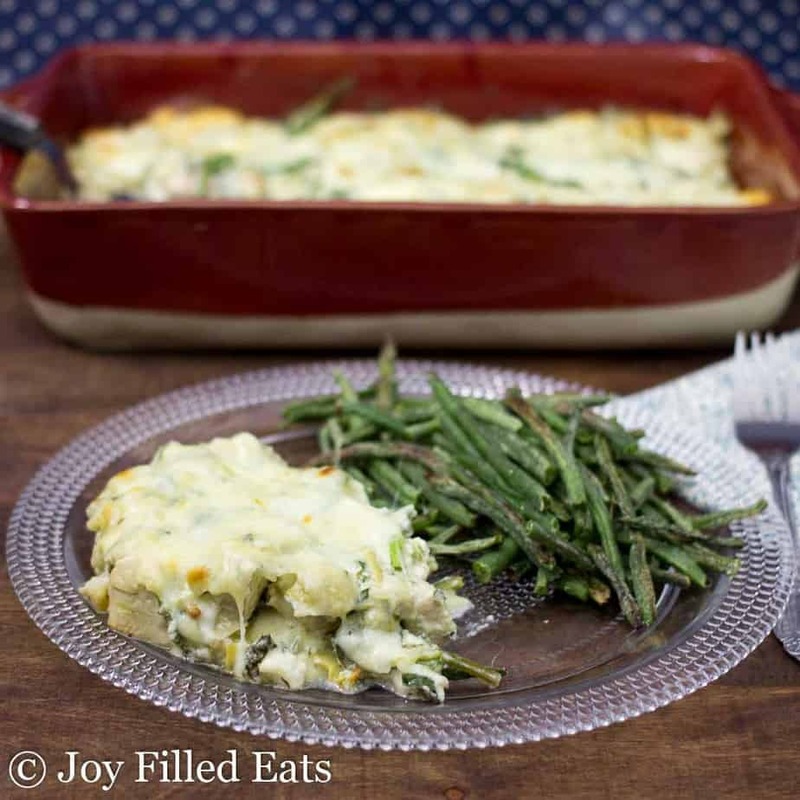 I don't do too many freezer meals myself but I've had readers do both ways successfully with my other casseroles. I don't see why this one wouldn't work too. Hi Joy! Love all your recipes. I was wondering if this one could be made ahead of time? Mix all the ingredients up and place it in the dish to be made the next night? Oh my heavens. You've outdone yourself! Seriously so delicious! You have become my "go to" for recipes!!! YUMMMMM.